What a terrible offseason for National League MVP Ryan Braun. First news came out that the Milwaukee Brewers outfielder tested positive for steroids and faces a possible 50 game suspension. Like all juicing athletes, Braun is proclaiming his innocence. However, in his case, if Braun’s defense is accurate it might worsen his image. Yes, Ryan Braun is apparently going to play the herpes card in an attempt to get out of his PED suspension. Multiple baseball and gossip websites are reporting that Braun’s astronomically high steroids level are a result of his genital herpes medication. The mainstream media has not picked up on the rumors based on the scummy and absolutely charming sources reporting the story. 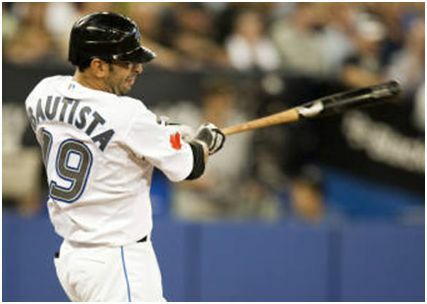 Monday Toronto Blue Jays outfielder hit his Major League leading 39th and 40th home runs. Tuesday, there were suddenly rumors published questioning whether he used steroids. Pitching legend Roger Clemens was indicted by a grand jury Thursday on perjury charges. Clemens is accused of lying to Congress at least 15 times in 2008. There have also been reports recently that Clemens used money from his charity to buy illegal PED’s. Longtime Roger Clemens nemesis Brian McNamee has made a new round of allegations against the 300-game winner. Clemens’ former trainer says the pitcher used money from his charity foundation to buy illegal Performance Enhancing Drugs. Worse, McNamee didn’t make those charges to the media. He told them to the feds who are investigating a possible perjury case against Clemens. That opens up the possibilty of the Roger Clemens Foundation coming under federal scrutiny for possible criminal or tax charges. The only good news for Clemens is that the AP is reporting that McNamee could not produce any documents or records to support his charges. Baseball Home Run King Barry Bonds once walked 232 times in one season. Friday, he got the biggest walk of his life. He may completely get off on federal perjury charges because much of the evidence against him has been ruled inadmissible. A deeply divided federal appeals court ruled that the government CAN’T use any of Bonds’ positive drug tests or evidence collected from BALCO that was associated with his former trainer, Greg Anderson. Anderson went to jail on contempt of court charges rather than testify against Bonds. However, the feds confiscated Bonds’ drug tests and a mountain of other evidence from the disgraced former sports lab since they knew it was provided by Anderson. However, the appeals court ruled that without Anderson’s direct testimony NONE of the evidence is admissible. The appeals court ruled that all of Bonds’ drug tests where he tested positive for steroids were “hearsay” evidence. Legal experts say Bonds will now almost certainly get off on perjury charges that were filed after he lied to FBI agents about his use of performance-enhancing drugs. After American cyclist Floyd Landis was stripped of his Tour De France victory in 2006, he blamed Jeremiah Weed bourbon for his “false positive” drug test. Now that Landis has admitted he was using illegal performance-enhancing drugs all along, the makers of Jeremiah Weed are demanding an apology. Do you know who made a lot of money off Mark McGwire? Drug companies. Darren Rovell is the best sports business writer in the country. He has an interesting post on his CNBC “Sports Biz” site. Rovell recalls the 1998 incident where an AP writer named Steve Wilstein spotted a bottle of the drug Androstenedione in the locker of then St. Louis Cardinals slugger McGwire. Wilstein wrote about McGwire’s use of the drug and the result was a mini scandal. It was a minor speed bump on the first baseman’s road to a record-setting 70 home run season. “Andro” was a quasi-illegal drug that was banned by the World Anti-Doping Agency and most sports organizations throughout the world. 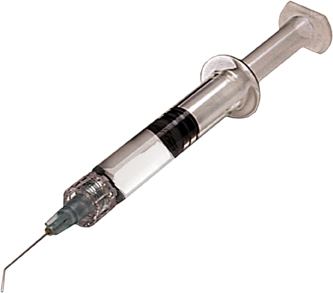 It is a steroid precursor that helps the body manufacture testosterone. However, at the time, Andro was NOT banned by Major League Baseball. It was also available for sale over the counter in the U.S.
Rovell points out that after news of McGwire’s Andro use, sales of the drug rose 1,000 percent in the United States in 1999. That amounted to $50 million in one year for the drug’s manufacturer. One retailer attributed “99 percent of the sales” specificially to McGwire. Much like McGwire himself, it was a fraud. We now know Andro wasn’t the reason that Mark McGwire hit 70 home runs in 1998. McGwire was also taking anabolic steroids (by his own admission) and HGH. He was also taking HORSE STEROIDS. We know this because of a previous article written by T.J. Quinn when he was with the NewYork Daily News. The next time you hear Mark McGwire say he took steroids for “health reasons,” keep in mind that most people don’t take horse steroids for their health. One final note: sale of Androstenedione in the U.S. was banned by the Food and Drug Administration in 2004. Androstenedione is now on the Controlled Substance list and has also been banned by the U.S. Military. MARK MCGWIRE: DO CHICKS STILL DIG THE LONGBALL? This morning on the ESPN2 morning show “First Take,” The Two Live Stews and Skip Bayless were snidely bashing Bob Costas for his MLB Network interview with Mark McGwire. Somehow, they didn’t feel that Costas was tough enough on the former A’s and Cardinals home run hitter over his admitted steroid use. Ryan Stewart even implied that Costas was somehow complicit in McGwire’s steroid use because he never reported on it during the first baseman’s career. Using that standard, NOBODY in the history of sports has been more complicit in covering up drug use during “The Steroids Era” than ESPN. During 15 plus years of employing baseball “insiders” and former players, and doing daily baseball shows and newscasts, ESPN never once addressed the topic of steroids and PEDs. The only reason that McGwire was even talking to Costas to “break” the news that he had done steroids was that ESPN and Peter Gammons had done such a horrific job of botching the Alex Rodriguez steroid interview/confession last spring. McGwire is an IMG client and they reportedly wanted “somebody smart” to do McGwire’s first on-camera steroid interview. That pretty much eliminated everybody at ESPN. Also on Tuesday’s “First Take,” Jay Crawford was bulldozed by Congressman Mark Souder. Crawford was softballing Souder, who was on the 2005 congressional committee that held the hearings on steroid use in baseball when the congressman went off on what a liar and scumbag McGwire is. A clearly uncomfortable Crawford toed the company line as an MLB “broadcast partner” and stumbled through a shortened conversation. He clearly let Souder go early. Awkward. 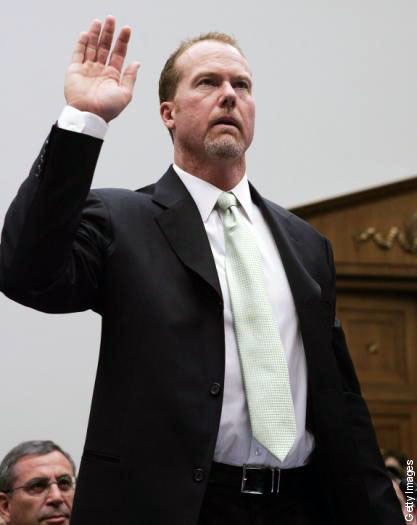 MARK MCGWIRE COMES CLEAN !! Former Major League Baseball slugger Mark McGwire admitted on Monday that he used steroids in 1998 when he broke baseball’s all-time home run record. McGwire also reportedly used HGH.